6.4" x 1.7" stitched on 14 count. 5.0" x 1.3" stitched on 18 count. Howdy Bib cross stitch pattern... My Dad was a real cowboy so I am partial to anything cowboy in nature. 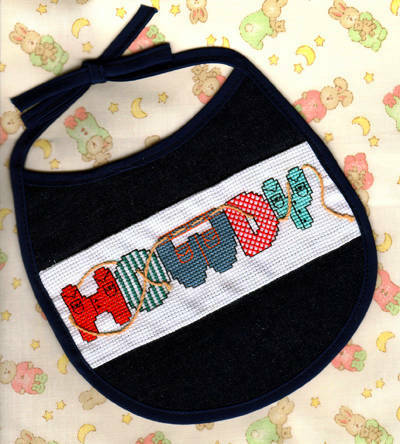 With this bib the new little cowboy greets the world with a great, big HOWDY. All instructions included.